I’m sorry for not blogging in a while, you guys. I finally made the big move to Austin, Texas! Moving half way across the country and getting myself and my family settled has taken up all my time and energy. And in the process I have gotten sick, so I thought it would be great if I could share how I have been able to get over and even prevent the cold and flu these past few years. 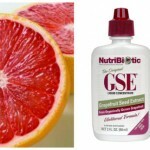 Now there are a ton of natural ways to get rid of the cold and flu, but I’m sharing the tried and true ones I know of. 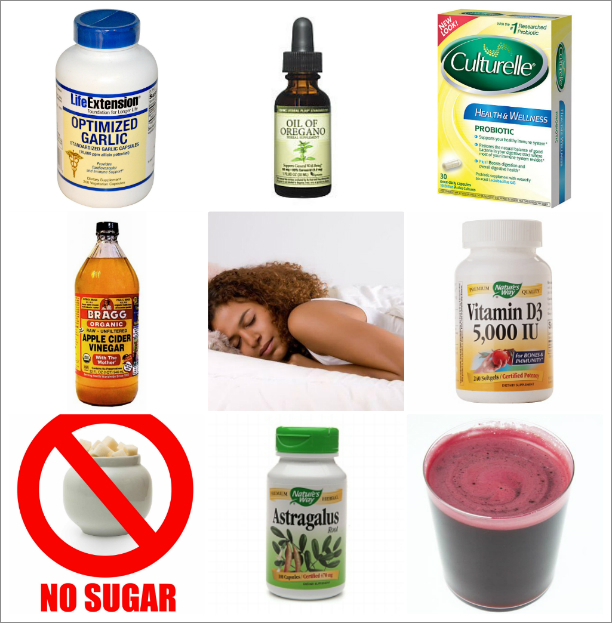 This list is also great for upper respiratory infections (sinusitis, sore throats, runny nose, etc…). You may not feel like eating solid foods, but make sure to take in plenty of fluids. Choose hot liquids such as tea with lemon or apple cider vinegar brew. Colds and flu cause your body’s pH to become slightly more acidic than healthy levels. Although apple cider vinegar itself is acidic, it has an alkaline effect which helps to balance out the pH level of your body. The hot liquids help break up mucous and phlegm. 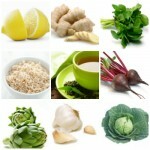 I also love juicing beets, kale, spinach, apple, lemon, and adding a few drops of oil of oregano. Not only do you get a ton of immune boosting nutrients from the raw greens, lemon, and apple, but the beets detoxify while the oregano oil is a powerful antimicrobial and helps fight off bacteria. It is best to avoid taking in meat when you are sick. The body has to use a lot of energy to properly digest meat protein and it needs all of the energy it can muster to fight off infections. Instead, eat beans, quinoa, or add hemp protein to shakes, it’s easier for your body to digest. Take probiotics; foods or supplements containing bacteria that are good for your health–that include Lactobacillus. Unlike antibiotics, which work by killing bacteria, both friendly and unfriendly, probiotics work with your body. By boosting populations of beneficial bacteria, you effectively crowd out the bad bacteria, making it more difficult for them to thrive. Taking a vitamin D3 supplement is highly effective in the winter when there is not as much sunlight and our bodies are not naturally producing D3. It is immune boosting. Take 5,000 IU’s daily. This favorite boosts your body’s capacity to combat bacterial and viral infections. Take 1,000 mg daily. This herb’s antibacterial properties boost your immune system and help with colds. So take in pill form or cook with lots of garlic. My recommendation is vegetable, quinoa, bean soup. Studies have found that astragalus has antiviral properties and stimulates the immune system. 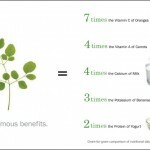 Astragalus can be found in capsule, tea or extract form at health food stores. Take 400 mg’s Daily. I use CLO ( Cod Liver Oil) and drink sauerkraut juice ( it’s gross but it’s rich in probiotics). I’m interested in the OoO (Oil of Oregano). Thank you for sharing Jay! Cod liver oil is great! The sauerkraut juice makes sense though because it’s fermented. And the oregano oil is amazing!!!! I would have never thought of avoid eating meat while battling the flu. But it makes sense being that beef, and pork takes so long to digest. One less thing to worry about for me cause I gave up meat. My favorite is my Mother’s hot toddy drink that she makes if I’m sick during the holiday season!!! It’s great for sleeping through the night!! Good to know that your big move to Big Texas went well! Feliz Navidad!! Thank you so much Crystal! I’m glad to know this post gave you some new info! Mmmm…and that hot toddy sounds good! Thanks for sharing :). Thank you for this post Nikisha:) Super informative. congrats on the move! sorry i didn’t get a chance to meet you before you left, i was actually there for an interview and it was a very long day. if i get the job or have other interviews in case that one doesn’t work out i may see you then. hope you feel better soon. i will! take care and happy holidays! I hope you have a wonderful and blessed holida Keisha! My boyfriend was telling me he was getting sick with a cold and I was telling him how if he laid off the sugar and changed his diet he wouldn’t be getting that sick in the first place, so this article is right on time!!! Thank youuuu! I’m going to tell about the apple cider vinegar brew and show him this article as well. You’re welcome Sissa! Hopefully he listens to you!!! highly highly HIGHLY recommend Dr. Schulze Echinacea plus. It’s gotten rid of a cold in days plus, same with cold sores. He also has a cold + flu herbal shot which i believe is a bit stronger. Powerful, effective stuff with high quality, organic ingredients. Echinacea Plus ingredients: Wild-harvested Echinacea fresh root and juice, Echinacea angustifolia, Organic Echinacea seed, Echinacea purpurea, Organic Garlic juice, Allium sativum, and Organic Habanero Cayenne pepper and juice, Capsicum annuum. Thank you so so much for sharing all that great info roo08! I’m definitely going to be checking out Dr. Schulze stuff! And thank you so much for your kind words. God is so good! He definitely made a way for us, because everything has been running smoothly and we love it here!!! I would love to visit Houston, and a meetup would be awesome!! !